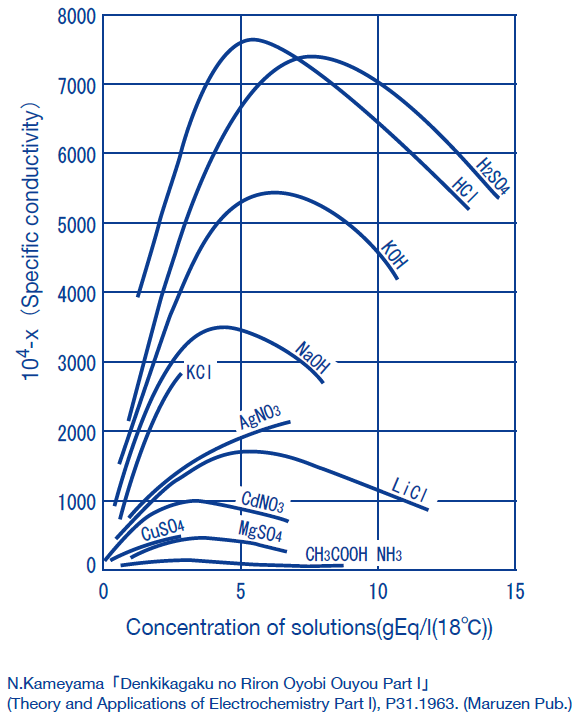 The method of obtaining the concentrations of solutions from conductivity measurements is often used industry. 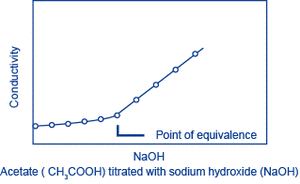 In general, the conductivity of electrolyte solutions peak at high concentrations. Note that this means that a single conductivity value corresponds to two concentration values. Let A be the substance to be measured. When a solution (of known concentration) of a substance B that reacts with A is gradually added to a solution of A, A and B react, changing the conductivity of the solution. The reaction will saturate at the point where a certain amount of B has been added (the equivalence point), and following this, as B continues to be added, only the additional B will contribute to the change in conductivity. The amount of A can be obtained from the amount of B that is required to reach the equivalence point. 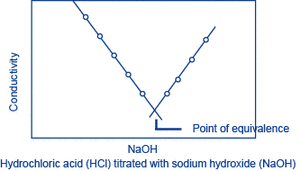 This method is called conductivity titration.